January 29, ISPO, Munich: One year after the Swiss-Norwegian company OSMOTEX announced the innovative HYDRO_BOT technology, it is showcasing a jacket that is the sign of what’s to come to consumers this year: clothing with embedded electronic moisture management that allows you to sweat without feeling wet. After a period of rigid testing with remarkable results, Osmotex promises HYDRO_BOT to be commercially available in sportswear in the course of 2018. “I have tested prototype jackets under demanding conditions in the Norwegian mountains, and the effect was much greater than I dared to dream of. I did sweat without feeling wet,” says managing director and executive chairman, Joacim Holter. This week he is at ISPO in Munich convincing many sports brands to include HYDRO_BOT in their new collections. Osmotex launched the technology with a group of partners last year. KJUS has been the primary product development partner and confirmed then that they will be the first brand to take HYDRO_BOT to market in selected skiwear products planned for the 2018/19 season. Since the technology launch Schoeller has signed a production agreement with Osmotex. The Swiss leading textile manufacturer will market HYDRO_BOT to its own clients, and Schoeller is showcasing HYDRO_BOT at ISPO. “We are very pleased with the progress towards commercialization and this revolutionary technology will play a crucial role in our vision to stay at the forefront of the global textile industry,” says Schoeller CEO, Siegfried Winkelbeiner. At ISPO, Osmotex confirmed a new strategic partner for electronics. Applycon, a Czech-based developer and producer of electronics for clothing, will be their preferred supplier for all integrated electronics. “Applycon’s more than 13 years of experience in wearable solutions and textile integration will be a strong contribution for how to bring a unique technology together with other products towards end-users. We have already delivered the first electronic units that work with the specially developed HYDRO_BOT application,” says Milan Baxa, Managing Director of Applycon. Empa, the Swiss Federal Laboratories for Materials Science and Technology, has played a key role in conducting cutting-edge materials and technology research as well as clothing physiology analysis of the HYDRO_BOT system incorporated in jackets, which confirmed the efficacy of the technology. In all tests the jackets performed better than existing state-of-the-art jackets, and when the electronics were switched on the difference was remarkable. “Empa has been delighted to orchestrate the technological development and to validate the innovation that makes HYDRO_BOT a revolutionary moisture management solution. While this is a first-generation product, our physiological analysis already shows that electro-osmosis will make it possible to manage moisture in an entirely new way,” says Prof. Dr. Gian-Luca Bona, CEO of Empa. 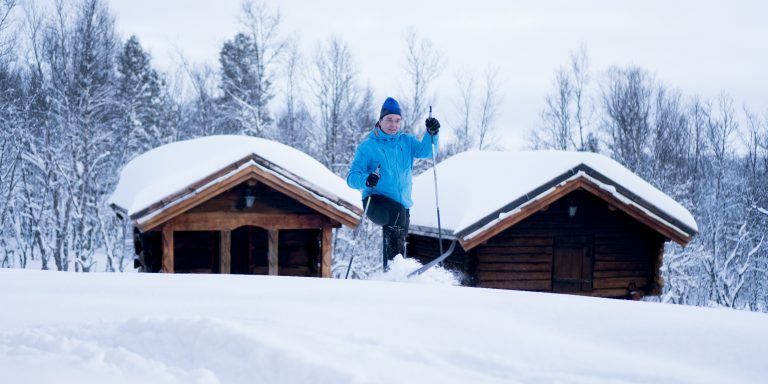 Joacim Holter has made the testing of HYDRO_BOT a personal matter – here he is testing the EO membrane in challenging conditions at Geilo.